Lawyers for former Virginia Gov. Bob McDonnell say he should get a new trial on corruption charges because the jury in his case was potentially biased and may have acted improperly. McDonnell's lawyers filed court documents Thursday saying U.S. District Judge James Spencer did not properly examine whether potential jurors for the case had been unfairly swayed by pre-trial news coverage of the case. Defense attorneys also argued that Spencer should have investigated a possible claim that jurors who were picked for the case discussed the trial among themselves before they were allowed to do so. 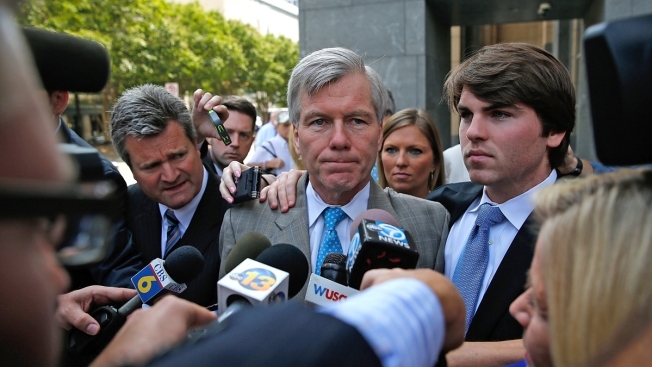 McDonnell and his wife, Maureen, were convicted in September of performing "official acts'' to promote a businessman's dietary supplement products in exchange for more than $165,000 in gifts, trips and loans.